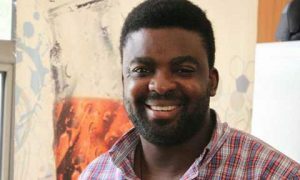 Award winning Nigerian film maker, Kunle Afolyan has explained the reason why he had to physically appeal to cinema goers to buy tickets for his new movie “Roti”; that is presently showing in cinemas across the country. The ace film maker who was interviewed on television continental, said Nigeria is a unique country and as such he; as a business man that is not ready to run at a loss must adopt pragmatic steps to ensure his movie breaks even, “Nigeria is not like any other country, we are different. Take it or leave it, the surest way of income for any movie maker in Nigeria now is the cinemas, that is the reason why I had to go to the cinema hall and practically announce at the top of my voice that movie goers should buy ticket to watch my movie. I need to recover the money spent in making the movie”. When asked of the reported hundreds of millions the movie made on its first week of showing, Afolayan said “if I made such money, I should have been on holiday in one Island. “ the hunk explained with a smile on his face .